Kids have a hard time when it comes to changing their routine. 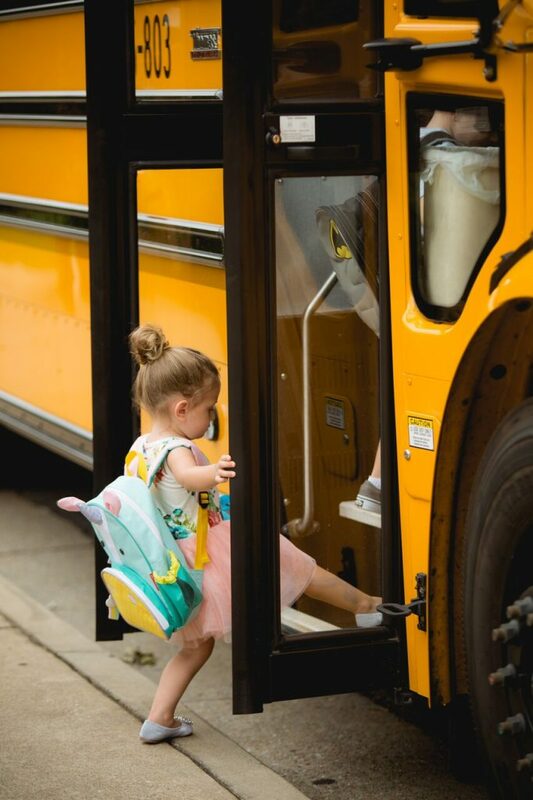 Whether it’s the time change or starting the school year, change can be a lot for little ones. I’ll admit, my kids have never really been on a super strict routine. I had friends that had their infants on a routine down to the minute and sometimes I wish I was able to do that. But unfortunately, our lifestyle has been anything but steady and we’ve had too many ups and downs to get it all under control. So call it a blessing or a curse, but my kids are used to change. Do they adapt well? Ehh questionable. But I knew I needed to try my best to get them on a back-to-school routine before preschool started. So where and when do you start? To be honest with you, we kept their bedtime the same from the previous school year until this one. Even though it was summer and we were traveling and doing things, we did our best to get them down on time. So their bedtime dictated our dinner time. I always had dinner prepped and served round the same time every night. We would eat dinner as a family and talk about our day, which I believe is super important for us. After dinner, depending on the night, was bath time. 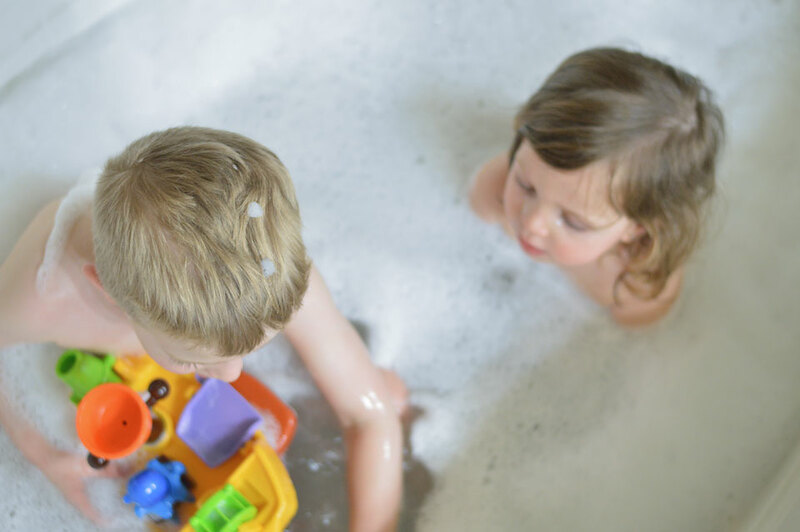 Over-bathing your kiddos can actually dry their skin out, so we do baths every other night. On the nights we don’t take baths, we use JOHNSON’S® HEAD-TO-TOE™ Cleansing Cloths. We love them because they’re soft, thick cloths twice the size of average wipes and keep them clean without the need for water. There’s no need to rinse, leaves no residue, and won’t dry their skin out. 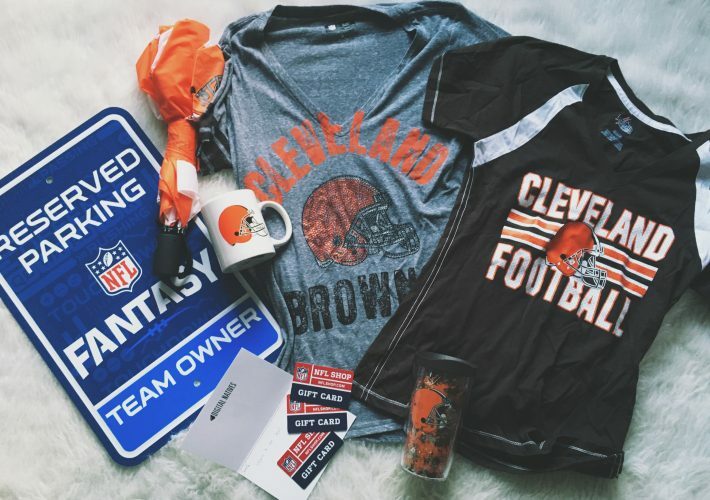 Almost sounds too good to be true, right?! After bath is story time. We let them each pick a book or two and then watch a show on YouTube kids for 20-30 minutes. I know that people have mixed emotions on letting them use electronics before bed but for us, this has been the best way we’ve found to calm them down from the day’s activities. My husband is also gone a lot so this has helped me be in two places at once, so to speak. If they’re still awake after 30 minutes, we turn the tablets off and tickle their back until they fall asleep. And after a long day, this usually doesn’t take long. 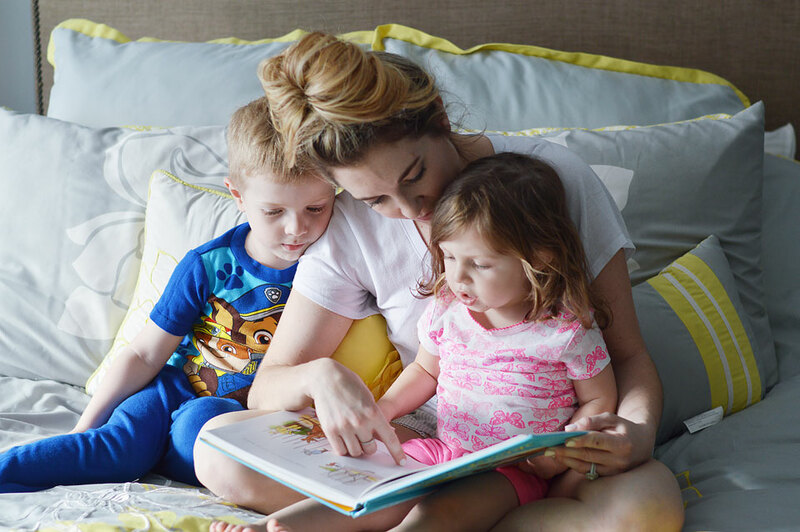 Now obviously this won’t work for everyone but the biggest secret to getting your preschoolers to sleep? Consistency. If you let them stay up later on the weekends or throw them off their routine, it’s going to make it harder on everyone. Try to keep them on schedule as much as possible and eventually, everything will fall into place. 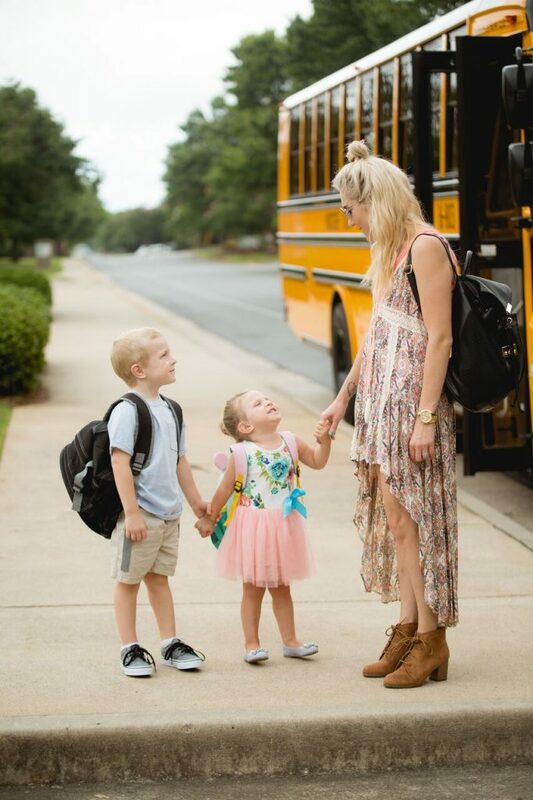 How do you get your preschoolers ready for their back-to-school routine? Be sure to check out JOHNSON’S® HEAD-TO-TOE™ Cleansing Cloths to help with your back-to-school routine. « Mom Style: LuLaRoe Review + a Giveaway!